It makes no difference if the garden is big or small as we prepare them all to the same high standard. 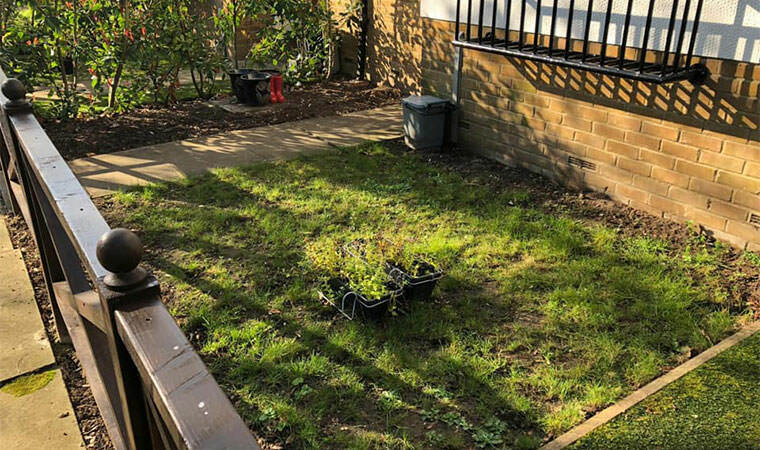 Take this small garden in Blackheath, London as an example. The top soil and grass were removed, Type 1 and granite dust compacted in and the Outfield grass securely fitted to timber fixings. 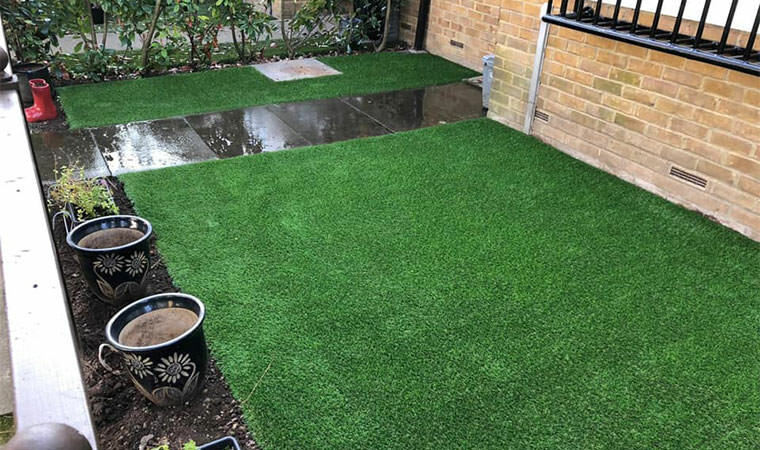 The result is a small garden lawn where the artificial grass will last for years. This work has seen 4 small gardens in this close all choosing us to lay their new artificial grass lawns.